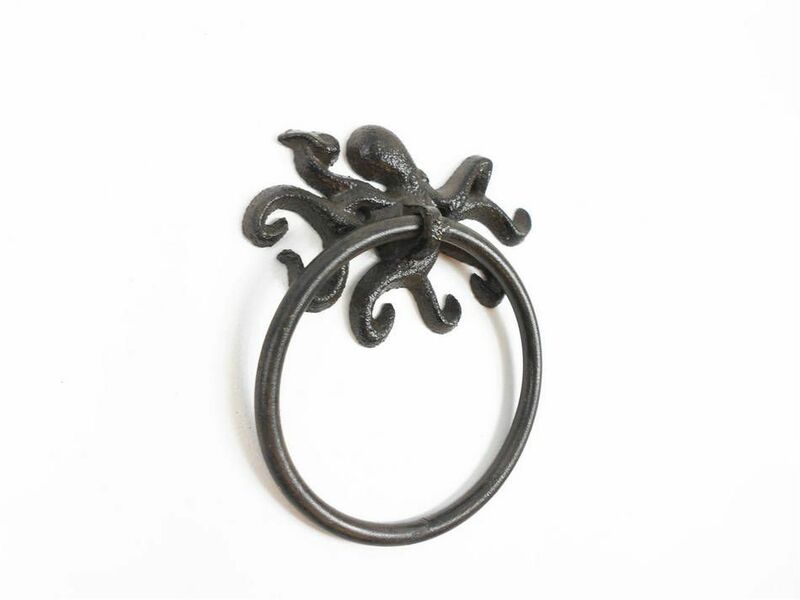 This Cast Iron Octopus Towel Holder 6" is perfect for any beach inspired bathroom or kitchen. Add a touch of beach decor to any room while impressing your guests with their substance and thoughtfulness. 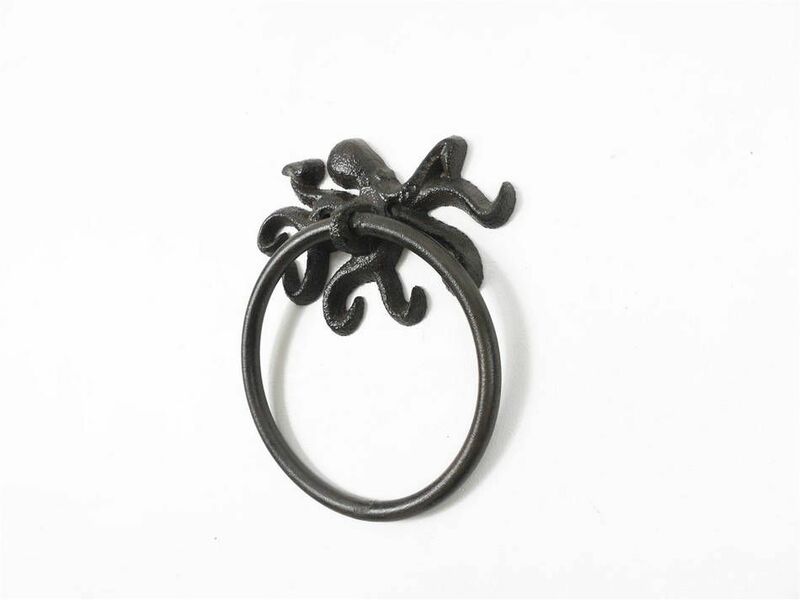 Ideal for hanging towels, this durable towel holder is crafted from cast iron by our master artisans. 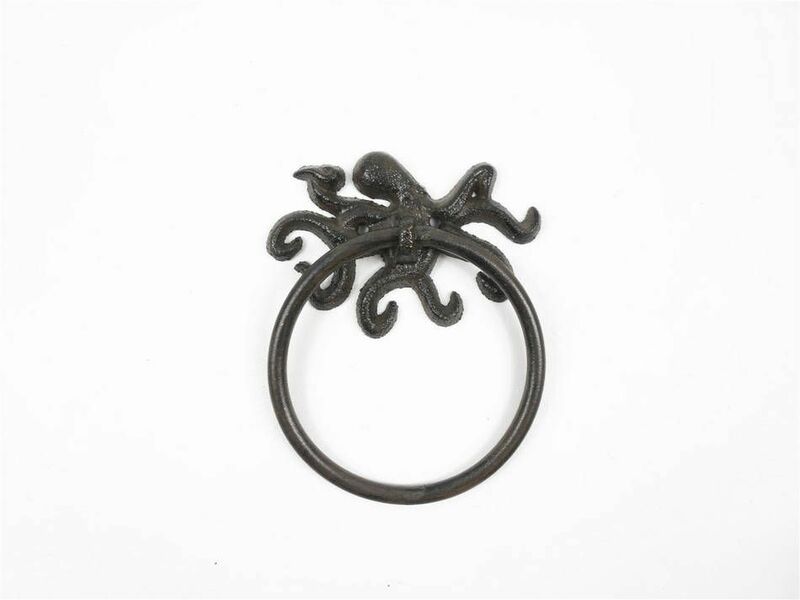 Easily mountable, display this decorative towel holder in any room and show those who visit your home your affinity for the beach lifestyle.